Come ride with industry's top instructors. Each student will have an opportunity to work with every instructor during the two or three day clinics. Geared for all levels of riders, these professionals make their expertise available to anyone who wants to learn more. Whether students are learning their leads or learning to change leads, there is opportunity to learn from the best. 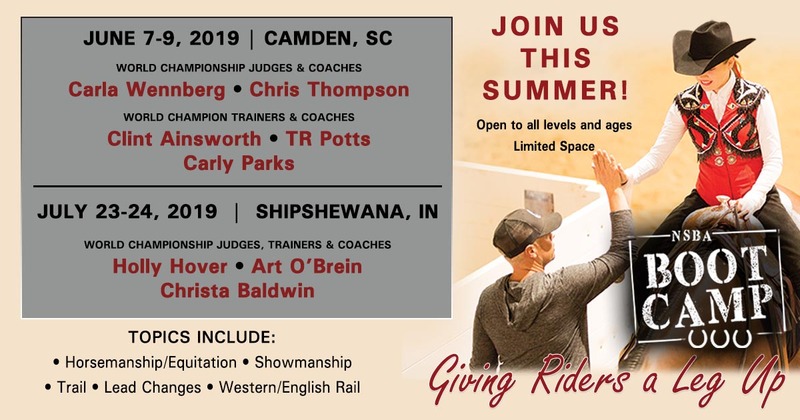 Fee includes stall for one horse, instruction, breakfast, lunch and snacks for participating riders. Family members may buy meal bands. Auditors receive meals with registration. Horses may begin arriving the evening before the clinics begin at each location. Students may bring a second horse for additional fee. Presented as a special project of the NSBA Foundation. 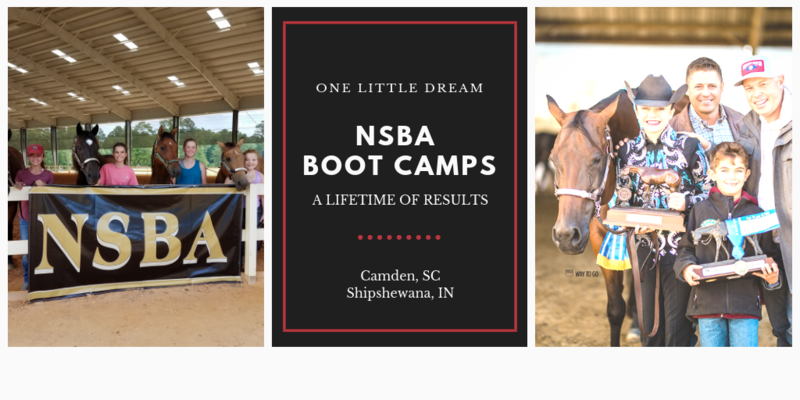 The grants are provided by the NSBA Foundation to any qualifying youth who fulfill the application requirements. Come ride with us!